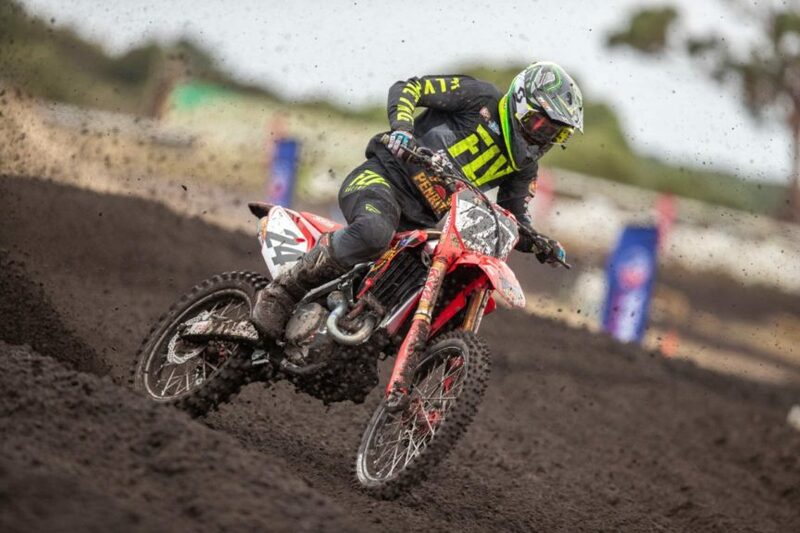 Penrite Honda Racing’s Brett Metcalfe sustained several injuries on the weekend in Wonthaggi, which could hinder his chance of lining up at round 3 in Broadford, Victoria in 2 weeks. Metcalfe was caught in a pile up in turn one of Moto 2; where hesustaineda broken finger in three spots, separated AC joint as well as a hematoma on his thigh. Understandably, Metcalfe is extremely disappointed but remains determined to push through to stay in Championship contention. “My sole goal is to line up at Broadford, brave the pain and get as many points as we can to stay in the Championship. The biggest concern right now is the spiral fracture I have in my finger. I will head back to the clinic next Monday and we will make a decision following the second round of results.” Metcalfe said. After a positive start to the round with a 3rd place in qualifying, Metcalfe felt he was on track for a top three finish. 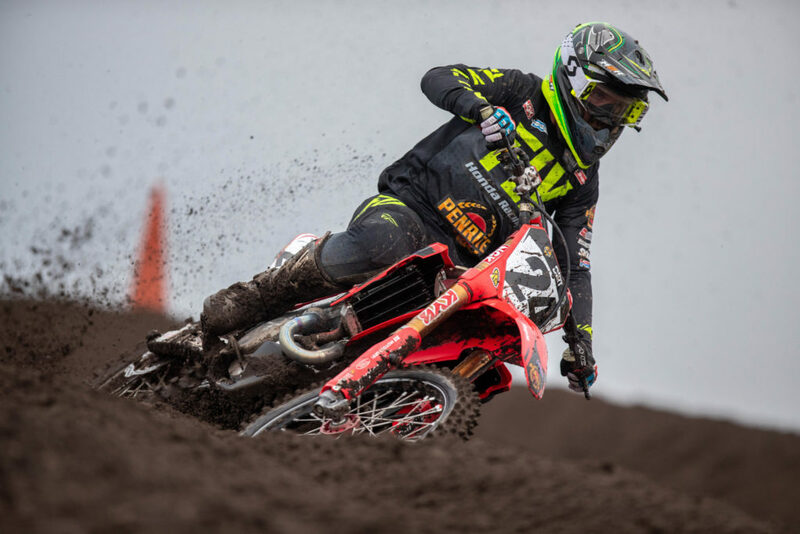 “Qualifying was good, I made a few changes in practice and I knew I could run a strong pace during the races.” Metcalfe said. 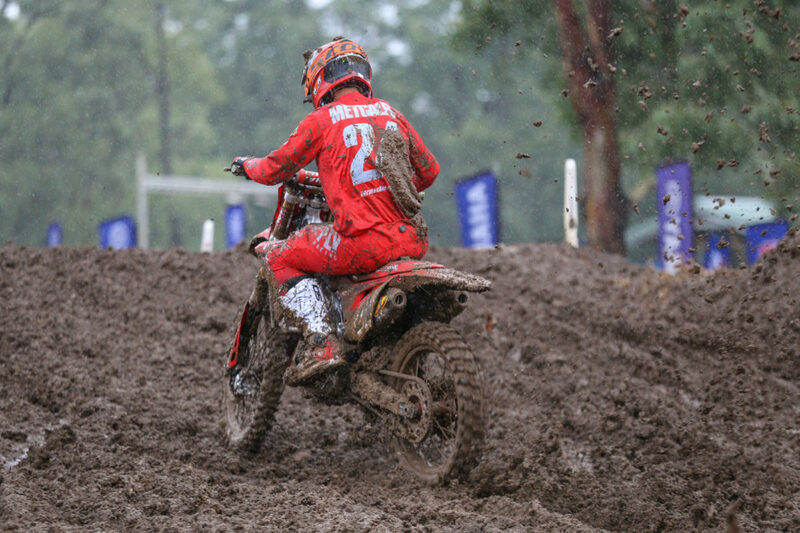 In the moto 1, Metcalfe came from the back of the pack to take 5thplace, feeling however that his result did not reflect his true speed. “I felt fast but it was hard to pass, I lost a lot of time throughout the race being stuck behind riders as the track was very one lined. 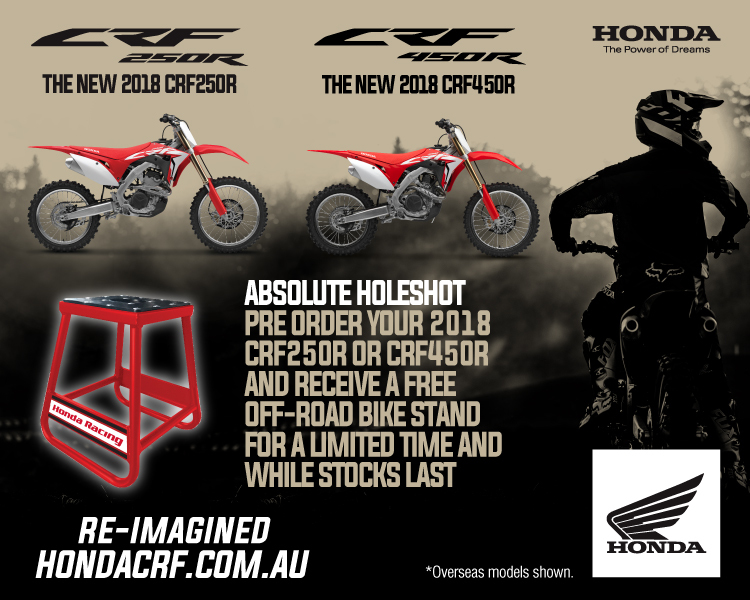 In the end, I settled for 5thand I was able to make up 18 seconds on the winner so we certainly had great pace,” Metcalfe said. 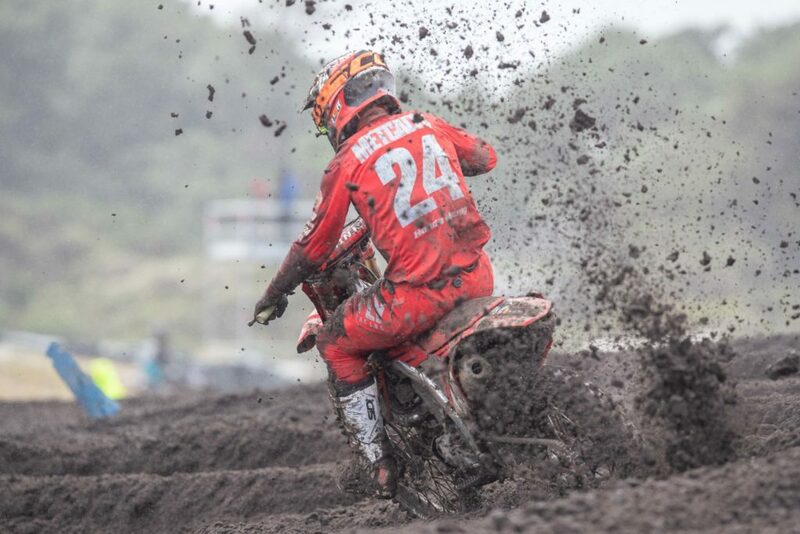 The 5thplace in moto 1 moved Metcalfe to third overall in the Championship, just 1 point shy of second. “I felt the changes we made were perfect for the conditions. 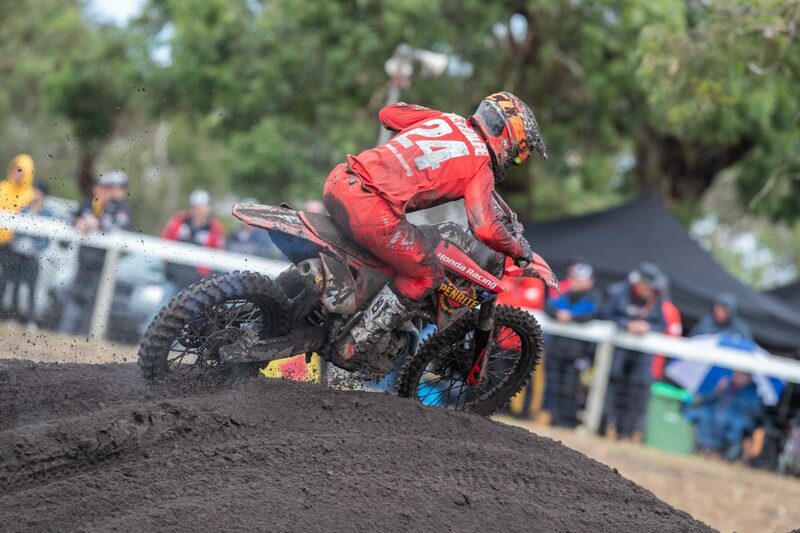 The bike felt amazing during the siting lap and I believed we could race for the win, so I am really bummed but that is motocross, anything can and usually does happen. No matter what, we will come back and win races.” Metcalfe finished.